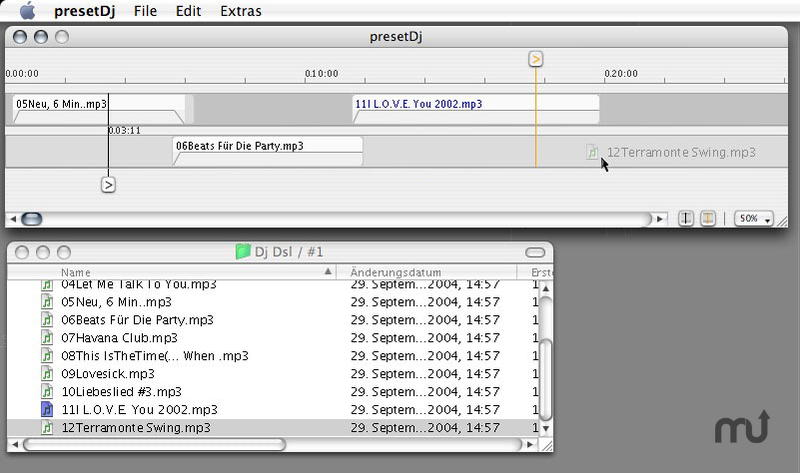 New way of software deejaying. Is there a better alternative to presetDj? Is presetDj really the best app in MP3 category? Will presetDj work good on macOS 10.13.4? presetDj shows a very amazing new way of software deejaying. Easy to use, no useless features, no mindless hardware clone. Drag files from the Finder, arrange them, play them. Set in- and out-points, set fade-ins and fade-outs. presetDj needs a rating. Be the first to rate this app and get the discussion started!